Building envelope energy losses are accelerated by moisture infiltration, wet, damaged, missing or inadequate insulation, poor construction practices, neglected maintenance and air leakage. Our team has the resources, experience, training and measurement tools to perform any type of assessment so you have the knowledge at hand to identify and eliminate weak points. 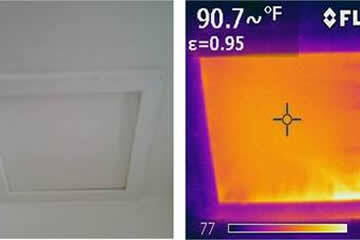 To help identify building energy losses and moisture problems, we use infrared building envelope analysis. By using a comprehensive integrated evaluation approach we can provide high-level assessments for schools, hospitals, offices, pharmaceuticals, government, industrial and privately owned facilities. 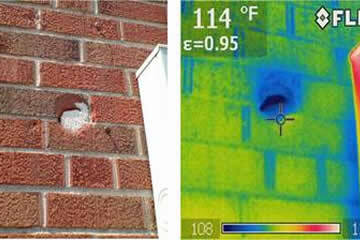 Our assessment includes Blower Door Evaluation and Infrared Technology Evaluation. To realize the full benefits of a window film, whether it’s to save energy or provide an extra-layer of protection, it must be installed correctly. Even the highest quality films will not perform if they are not professionally – and correctly – installed. No matter what size or application, our full-service window film installation personnel are committed to completing your project on schedule and to the highest degree of quality. Contact us to learn more about this service, and others Cornerstone Services Group provides.